chamber, the innovation solved a significant problem. Previously, floor timbers had been prone to damp and rot thanks to their direct contact with the moist ground. Now, the free movement of air in the ventilated area between the ground and the floorboards ensured the timbers were not degraded in this way (figure 1). However, the new design technique created a different problem. The cold air under the floorboards protecting them from damp created draughts within the building and uninsulated, poorly sealed floors have made the floors of heritage properties thermally inefficient and difficult to heat ever since. In fact, heat loss through the floor can be far more significant than heat loss through either the walls or the ceiling, and yet these are often the main areas of focus for thermal improvements. Moreover, achieving a thermally efficient and airtight suspended floor by retrofitting an appropriate system comprising insulation, an airtightness membrane and a vapour control layer (VCL) can be relatively easy to achieve. If specified and carried out to best practice standards, it can improve both comfort and energy efficiency without compromising the building fabric or aesthetics of the property. 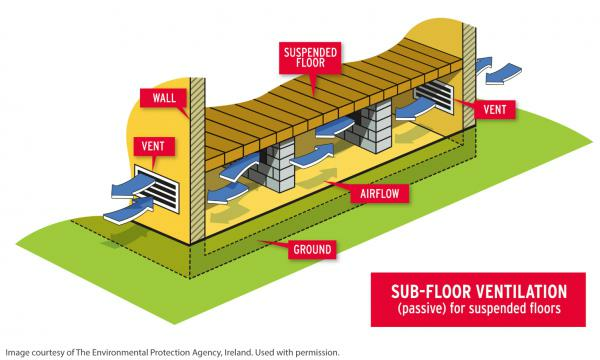 For most heritage properties, the most effective and appropriate way to insulate a suspended floor and improve its airtightness is to retrofit insulation beneath the floorboards, between the supporting joists (figure 2). 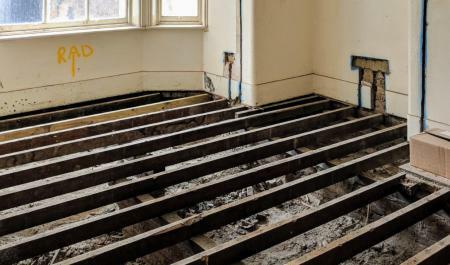 As the improvements to the thermal performance of the floor will not be visible following the project, even if the bare floorboards are left exposed, the choice of materials is not affected by listed building consent. However, many of the more commonly used insulation materials available are not ideal for suspended floor improvements for various reasons. Conventional foil-faced, impervious (non-breathable) PIR/PUR boards are commonly used in suspended floor upgrades and this can provide some thermal performance benefits, in the short term at least. However, this approach is not ideal, due both to the inflexibility of the insulation material and its inability to enable vapour to be absorbed and gradually dispersed. As anyone who works with heritage properties will know, it is unlikely that the joists will be straight or even, making it difficult to match the contours of a rigid board insulation to the existing timbers. 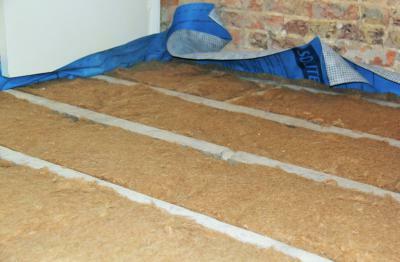 This can lead to gaps which allow air leakage (figure 3), therefore reducing the thermal performance of the insulation. If the gaps are large enough, they could even allow the sections of insulation board to fall through into the crawl space and onto the ground below, rendering the insulation ineffective. Often, this issue is addressed by using an expanding foam to fill the gaps (figure 4), but this solution may only be temporary as both the installation and the hardened foam lack flexibility, so any structural movement could cause gaps to recur. The non-breathability of these materials also means that, if any moisture should penetrate the floor structure over the building’s lifetime, it will struggle to dry out. For a more flexible solution, mineral wool is also often used in preference to rigid board insulation as this can be packed neatly between the joists, supported by chicken wire or netting (figure 5). This solves the issue of heat loss through the gaps, but the insulating properties of the material may be reduced due to ‘wind-washing’ of cold air from the crawl space through the loosely structured fibres (figure 6). Substantial amounts of air movement into and through the insulation itself can severely compromise the level of thermal improvement that can be achieved with this approach. For optimum results when addressing heat loss through a suspended timber floor, the specification needs to ensure that high levels of thermal performance delivered by the insulation material are combined with airtightness and moisture control, while at the same time facilitating a degree of breathability. Figure 7 shows the difference between loose fibrous insulation and the optimum approach shown on the right, achieved by protecting the fibrous insulation with membranes, similar to putting a gore tex jacket over a woolly jumper. In this way, the project achieves its objectives without inadvertently creating issues such as ‘wind-washing’ and secondary issues of damp, condensation and mould. Ecological Building Systems have developed a proven system for thermal improvements to suspended timber floors, using a combination of advanced building fabric technologies and naturally hygroscopic insulation materials. The solution is robust enough to withstand structural movement and heavy footfall while working in unison with the existing structure, ensuring structural timbers remain in a dry, stable condition (figure 8). 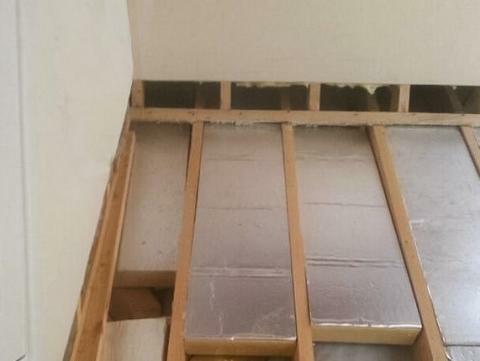 The system begins with the installation of pro clima SOLITEX PLUS, a windtight breathable membrane that inhibits heat loss while allowing any residual moisture within the joists to disperse, thereby preventing the risk of damp, mould and rot. The membrane is draped up and over the joists to create a cradle to support the insulation material and its integral reinforced netting ensures it provides sufficient strength to do this throughout the service life of the installation with no risk of sagging (figure 9). The ideal insulation material for use as part of this system is THERMO JUTE 100, a natural, breathable and high performance insulation with hygroscopic properties that allows moisture to be released gradually, helping to offset the risk of condensation within the insulation layer. 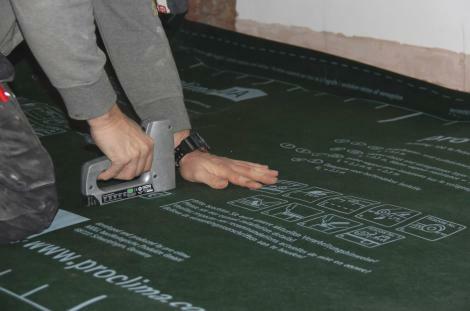 THERMO JUTE 100 is flexible enough to be packed tightly between the joists and can be cut to size easily on site (figure 10). The high density of the material offsets any risk of slumping over time and the lack of proteins in its natural jute fibres ensure it is not attractive to insects as a food source. Another alternative is wood fibre insulation, such as GUTEX Thermoflex, which also offers a dense material with hygroscopic properties. 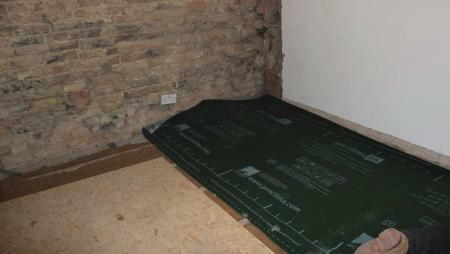 Once the natural, breathable insulation has been installed, an airtightness membrane is laid over the top (figure 11). For this we recommend the robust pro clima DA membrane, which is especially designed for use under foot. This prevents moisture and warm air escaping from the warm interior to the cold crawl space. Each section of pro clima DA should be overlapped and taped using pro clima TESCON VANA sealing tape. The final and crucial element of the Ecological Building Systems solution is to seal the interface between the floor and wall (figure 12), where the pro clima DA membrane meets the perimeter walls, by using pro clima CONTEGA SOLIDO SL tape. The floorboards and the skirting boards can then be replaced, covering all the improvements that have been made. To summarise, this solution ensures energy bills are reduced and comfort levels are optimised, without compromising the character or integrity of the floor for decades to come. Article written by Fintan Wallace, Architectural Technologist at Ecological Building Systems. Graduating from Dublin Institute of Technology in 2011 with a BSc (Hons) in Architectural Technology, it was here in D.I.T’s Bolton Street where Fintan developed a strong interest in low energy and Passivhaus design. From here he continued his studies becoming both a Certified European Passivhaus designer and tradesperson. Fintan has travelled to Baden Württemberg in Germany to study passive housing and sustainable energy technology, gaining significant knowledge regarding the use of natural insulations in timber frame and solid wall constructions. 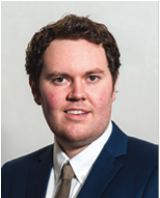 Latterly Fintan has been involved extensively in a deep energy retrofit of a property to the Enerphit standard in the west of Ireland. Recent UK projects that Fintan has been involved with include Vitsoe, CLT Factory, Gutex and pro clima systems, Waugh Thistleton Architects, Chelsea Barracks refurbishment, pro clima systems and Lower Royd Farm, Passivhaus refurbishment with Diathonite.